The CANNIBAL CREW of the IRON ORDER MOTORCYCLE CLUB (IOMC) was formed by a group of like-minded men committed to brotherhood, community, patriotism and a passion for riding motorcycles. The IOMC is an independent non-territorial motorcycle club consisting of members from all walks of life. We respect clubs that respect us. As an MC, we mind our own business and expect others to do the same. We are not a "cop club" or "1%ers", but we run our MC by the same rules established over 60 years ago by the first motorcycle clubs. As a result, we've quietly become the largest independent MC in the world with chapters in all 50 states, 12 countries and a strong brotherhood between us all. 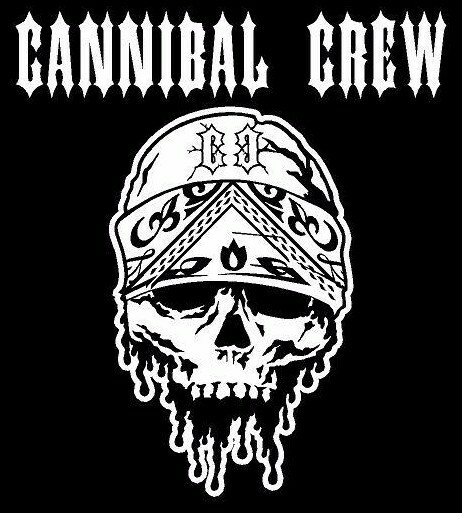 The CANNIBAL CREW welcomes any biker to consider membership into our club. Participation in our MC is considered a privilege, to be a member is an honor. 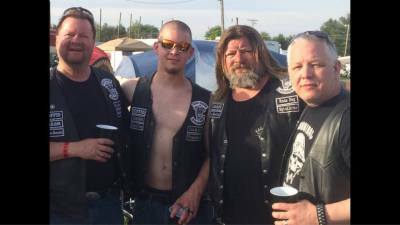 Our brothers are law abiding bikers who participate in regular club rides, community events, "bike night", a monthly meeting, club parties... and we like to have a good time! Our invitation includes participating in chapter rides and functions. This involvement allows us an opportunity to get to know you better, understand your reasons for wanting to join our MC, and if we are the right motorcycle club for you and if your are right for the IOMC. MBBM - My Brother Before Me! This is more than a saying or really cool tattoo...This is our way of life! It is at the core of our beings and why we band together in this club. We are Brothers! Half of what I have is His. He is my chosen brother. That bond is stronger than BLOOD! We believe that the RIDE is more important than the destination. With that in mind the Cannibal Crew has become "Nomadic". We would rather ride to a Brother's club house than clean our own after the party.